The name of the Studio or salon, where they create beauty, of course, should sound impressive. And well remembered, not to cause undesirable associations, and differ from the names of competitors. And the main thing – all should be clear that this Studio will create the same manicure, which dreams of every girl. How to come up with this name? Choosing the same, only the name, write down all the ideas that come to mind. Study magazines, browse through directories, where there are the enterprises in your town. Talk to friends – sometimes fresh ideas to people very far from business. All versions of the fix in Notepad. A good title should accurately reflect the concept of your Studio. For example, options that played up the word "krieyt", "Creator" and the like implying that your salon spetsializiruyutsya on the fantasy manicure. The words "eco" or "nature" make it clear that you are a supporter of natural nails and drugs for their treatment. Many people choose for their interior abstract beautiful name. However, stand in the place of a potential client – how to understand what happens behind the door marked Infinity or "Bella Donna"? It's a clothing store, perfume boutique or a tanning Studio? Perhaps the simple and succinct name like "French-style" passers-by will be clearer? In the field of beauty naming is quite conservative. So feel free to come up with something unusual. 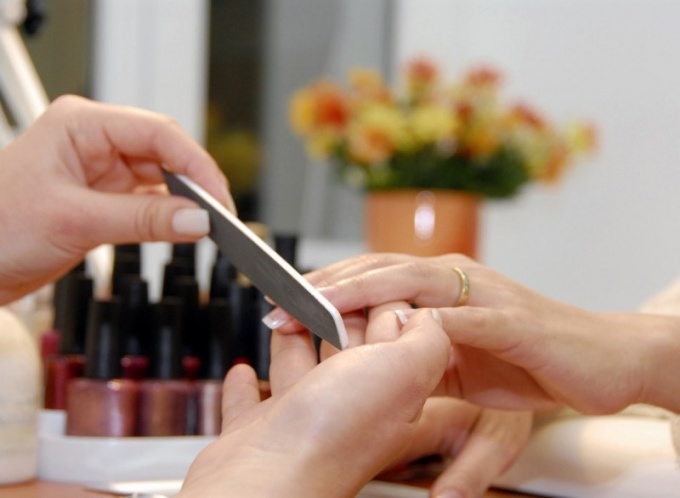 For example, "Nail Studio "Wonderland" or "BelleColor Manicure". Combine Latin and Russian words, experiment with fonts clients such wordplay like, and the sign is the combined name will look advantageous. Avoid diminutive words – it cheapens the name of your salon. Not too looks solid and proper name – the name looks old-fashioned. However, if you really want to immortalize someone's name, it can be beat. For example, to call the salon "Anna&Anna" or "Machinery house". The more original the name, the more likely that it is to be remembered. The selected name should sound like. Administrator your Studio dozens of times a day will have to utter the phrase "Studio NNN, good day." Try several times to pronounce the name. Write the phrase on the recorder, listen to it. Harmoniously if she sounds? Be prepared to support the name of the Studio design. For instance, naming your salon "Electric cherry", the lobby adorn these decorative trees. Salon "Kaleidoscope" will require maximum colours". And the Studio "Wonderland" will have to make mirrors. Keep in mind – if you save on creative Agency to choose for your café a name, invite the designer for the interior design. 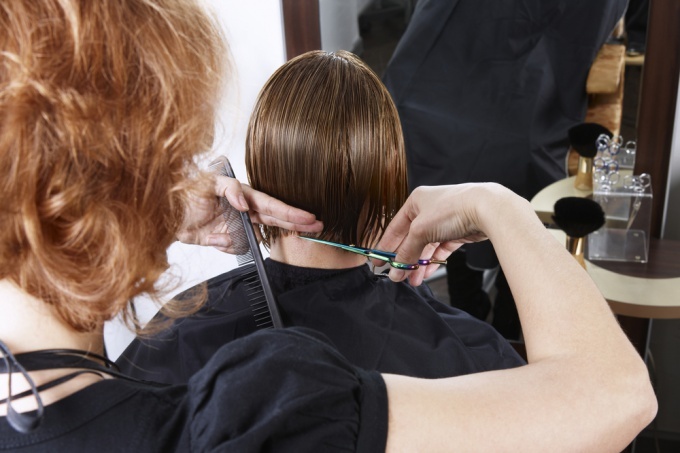 Effectively beat name – and your salon do to be remembered by the customers. Unless, of course, the service and the range of services will also be on top. Beauty salons in different price categories many. Therefore, a new, recently opened, the institution must attract attention, otherwise customers will not. Attracting attention of customers - and advertising and promotions, and discounts, and a catchy title. Despite the fact that almost every beauty salon and mens room, as a rule, the promotions and the usual names of salons involve the impact on the female audience. Overall, this is the right choice: most clients are women. In addition, women are more susceptible to advertising and are all catchy and memorable. However, because of this the name of beauty are often very similar (a woman's name or the name of the flower, for example). A good name - the name of the original. Therefore, in order to call beauty better to abandon the frequently used options. Immediately drop all female names, even the most pretentious. Passing by the beauty salon under the name "Eloise", the client can forget that 300 meters back she saw the beauty of "Elvira". If you are the owner of "Elvira", you hardly will go on advantage. Check your search engines (or just walk around the area where is your beauty salon what are the names of your closest competitors. So you immediately discard certain options and will be able to perform what the name will be allocated on their background. In addition, "breaking" each competitor on the search engines, you will be able to see which salon is popular and what is not. It also depends on the name. The name of the beauty salon as the name of any other business, product or service, of course, must be associated with the essence of such business, product or service. The Association should be positive, causing emotions, otherwise the name will not be remembered. For example, a beauty salon called "Style" is clearly going to lose the beauty salon called "life is beautiful!" Think about what target audience do you expect. If you open a beauty salon economy class, its name should not cause associations with wealth and money (won't come names like "Dolce Vita"). Conversely, in the names of the beauty premium should avoid such associations. Similarly, the title serves, among other things, filter clients. If you are not sure what to call the beauty salon for yourself, contact the experts on the drafting of the names of the couple. These may be freelancers with education in the field of linguistics, and advertising agencies that offer the service of naming separately or in conjunction with the development of the brand of your business.